Refreshing tonic helps improve the appearance of fine lines and wrinkles. 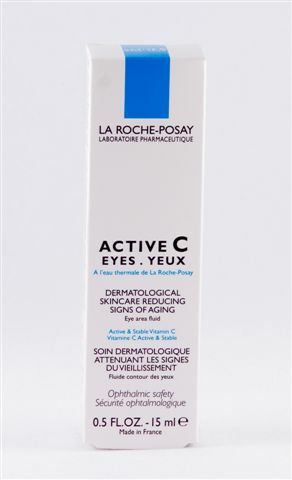 Special formulation includes L-ascorbic acid, a potent version of Vitamin C with demonstrated anti-aging effects. • Enriched tonic to help slow down the visible signs of aging utilizing L-ascorbic acid which possesses demonstrated anti-aging effects. • Contains Citrus amara flower extract along with Thermal Spring Water with its soothing and decongestive qualities. • Special formulation helps reduce photoaged, sun-damaged skin. Apply morning and/or evening with a light tapping motion, from the eye outward. Suitable for sensitive eyes.